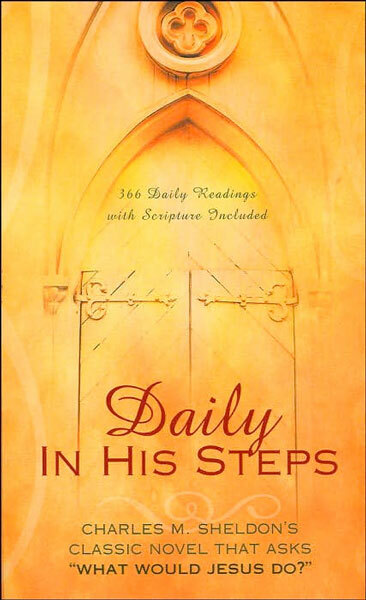 The classic Christian novel In His Steps by Charles M. Sheldon has inspired God's people for over a century. Sheldon's book follows the fictional story of Rev. Henry Maxwell and the First Church of Raymond on their exciting, meaningful, and unforgettable journey to discover how to follow Jesus. The meaning of the phrase "What Would Jesus Do?" becomes practical in the experiences of Rev. Maxwell and his church. Charles M. Sheldon (1857-1946) was an author, minister and social activist in Topeka, Kansas. As an experiment, he disguised himself as an unemployed printer to see the response from Christians. He was so shocked by the indifference of the Christian community, he wrote In His Steps.